A Message from the Founder - Spiro - ...and how we came to be Here! 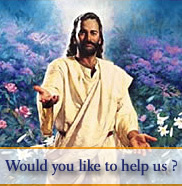 Hello, welcome to jesus4usall. I am pleased to be able to say that we are live and launched. This all began several years ago when my own faith was being challenged. I was searching for the real meaning of life and the truth. I was always a Christian but I can say that my faith was not really alive and I rarely had experiences of answered prayer. I was an ordinary catholic and went to church Christmas and Easter. But something was missing. I knew there was a God and I knew Jesus died to save us. I knew this in my mind but I never really felt it in my heart. I could see all kinds of suffering and wrong-doing around and the world just seems to be getting worse rather than better. So my view of God then was that either he didn't care or he didn't have much power to change things. How wrong I was on both accounts, as you yourselves will discover if you pursue the truth in your own faith journey and discover the mysteries of our Christian faith in Jesus Christ. Indeed they appear as mysteries to us because of our lack of knowledge or understanding rather than these things being hidden from us. God in his goodness has revealed these mysteries to us all and they are there now. So why is it so illusive? Well, it's because we do have to search for it and that means an effort on our part. It requires our attention and a desire to find the truth. Jesus knew this when he promised us in Matthew 7:7-11 with the heading "Effective prayer" and is appropriate since we ourselves are proclaiming this very thing. The power of prayer in Jesusâ€™ name. I discovered for myself God's readiness to answer our prayers when we ask for good things, and I was amazed! Truly amazed that God himself both heard and answered my prayer! I never expected it, to be honest, so when He did the reality of his presence and his power really changed my whole life. I am sure also that if you search for God and ask him to help you find him he will surely help you. He knows your about to start your search even before you do, and He really does love and care for you and your life and loved ones! I am so convinced of this that I give time to praying for others too. That's why we have a prayer request form here at the top of the page, on the menu bar, so you can tell us what you want us to pray for. Over the last several years, I have seen many people healed from many kinds of things, including blindness, deafness, arthritis, and even terminal cancer. But of all these miracles that Jesus continues to perform in our times there is no miracle that compares to the the miracle of Salvation. When a person's soul is delivered from their sins and eternal death and damnation, and by the love and grace of God their souls are healed and made whole again, and given eternal life. To know you are forgiven and washed clean of your sins and brought out of the kingdom of darkness and into the kingdom of eternal light is the best miracle of all. Knowing that you have the power to chose the kingdom of God, the kingdom of our Lord Jesus Christ, is the greatest gift God has given us. This being made possible by the passion and sacrifice and death of Jesus in order to pay the price for our own sins and save us from going to hell. Instead of what we deserve, which is hell we are given heaven and eternal life. The death of Jesus was not the end of him, because he defeated death and on the third day he came alive again. He rose from the dead to show that death was God's last defeated enemy as well as ours. But when Jesus defeated death, he defeated it for us all! Because death has no power in Christ. Death was defeated once and for all by Jesus's sinless life and sacrifice, His obedience to our heavenly Father. This is a promise for all who believe in Jesus Christ and make him Lord in their own lives. You too can come to experience the love of God in your own heart and soul, bringing you a liberty that is very rewarding even in the trials of life. If you have understood what you just read and feel a new excitment and a hunger to find out more, then your already experiencing the love of God for you and coming to recognise His personal tounch in your life. You too can help to bring others to this knowledge. If you have found this hard to understand, don't worry, keep searching, sometimes it takes time to realise that God loves us unconditionally, inspite of our sins, wickedness and weaknesses. It's true, His love for us is unconditional, and indeed it was from our sins that Jesus came to save us from, knowing the damage sin causes to our soul, our health and even our eternal life. So God's love for you and me and indeed all mankind is so great that he was prepared to come to the earth as a man, in order to take away everything that damages and seperates us from Him and our true destiny, which is a joyful and happy and peaceful life not only just for a short time but for the whole of eternity. I pray that God will help you every step of the way, until one day, you too will have that light switch on in your mind and will realise what I mean. In other words many hear of what we call the Good News but few have read it or really understood what it really means. So give this the time it deserves and learn to really understand your faith and you will be filled with joy and excitement as you discover what it really is and what it's not. The clue to knowing if you understand it is that you will feel an air of excitment, and new perception of yourself, God and the world, and your relationship with Him. Your excitment will cause you naturally to want to share it with others, givng them also the Good News, the News of God Love and power to heal, liberate, and save. It does'nt matter who you are, and what you believe or don't believe, whether your a Christian or not, or what denomination of Christian you are, God love's us all the same, even if you have led a good life or a bad one His love is the same for us, and He wants to help all of us to come to know and trust Him, and to believe in His love and power to help us. It's an empowering experience and one I gladly share with you and would gladly have you share with us as you yourselves tell us your own journey of discovery and how your faith came alive for you, in Jesus Christ.